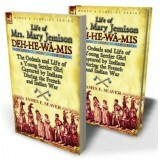 The most famous ranger—and the father of covert warfare As the ‘age of sail’ progressed the great nations of Europe understood that the lands and wealth of the globe were within the grasp of their ..
‘Little woman of great courage’-the life of Mary Jemison Mary Jemison’s is a remarkable story. Born in 1743, she was captured by Indians whilst in her teenage years. Her family had emigrated from I.. 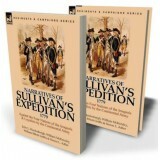 The conflicts of backwoods and high seas This book, though not the first published in the series, is chronologically the first in Brady’s essential cycle of books on the fights and fighters of the ..
Loyalist rangers of the American War of Independence br> It is, perhaps, in the the character of the American Rangers of the eighteenth century that they would be perceived in entirely different w.. The battle for the Mohawk Throughout history there have been many battles but few, other than those that were momentous, have endured in the collective memory. 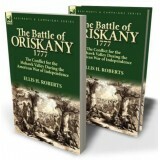 The Battle of Oriskany will be memora..
A decisive campaign of the American War of Independence The fast moving political situation of the latter part eighteenth century in America impacted upon the indigenous Indian tribes of the easter.. 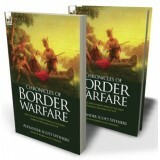 The War for the New World The Seven Years War as it was fought in the New World has always fascinated students of military history. 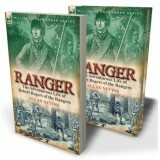 Its stage—the wilderness of the American north-east, at a time wh..
Washington's campaigns in British service It is simple to view George Washington as the most famous and successful soldier of the American War of Independence or indeed as the first president of th..
Four essential accounts of war in the New World This book will be a joy to all those—academic and casual—who have an interest in the Seven Years War as it was fought in America in the middle of the..
Francis Parkman's history Montcalm and Wolfe, originally published in two volumes is, possibly, the finest history book to come out of America and is the definitive account of the Seven Years War in t..
A classic account of the Indian Wars of the great American North West The author of this book, William Thompson, was a true pioneer and American frontiersman. He travelled westward by covered wagon..
Six more accounts of the war of tomahawk and musket This is the second volume in the Leonaur's 'Narratives of the French & Indian War' collection. 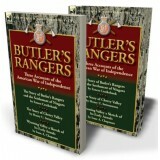 This volume contains a six small accounts whic..